Address: 60 Boulevard du Jardin des Plantes, 80000 Amiens, France. The dye plants used in textile industry, herbs for medicine, edible plants for consumption, the variety of plants in each of the categories is staggering. Other than that there are several greenhouses built purely for rare species of trees and flowers. Overall a brilliant visit. Ask locals to get here, walk or drive if possible. Love this? Explore the entire list of places to visit in Amiens before you plan your trip. Fancy a good night's sleep after a tiring day? Check out where to stay in Amiens and book an accommodation of your choice. 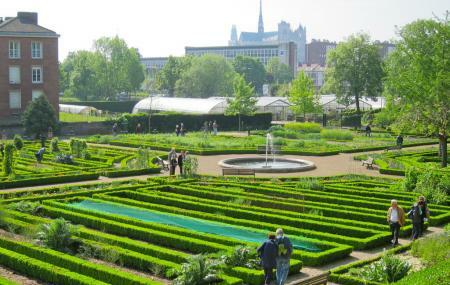 Jardin Des Plantes Address: 60 Boulevard du Jardin des Plantes, 80000 Amiens, France. How popular is Jardin Des Plantes? People normally club together St-leu and Cathedrale Notre-dame D'amiens while planning their visit to Jardin Des Plantes. Interesting historical background narrated by the guide with a variety of local plants to observe. The gardens are in need of upkeep to make them more appealing to tourists. Relatively small but cosy and educational garden, to rest in yet another green area in Amiens. Compact, pleasant, quiet and well labelled. Access summit roundabout during Road repair.